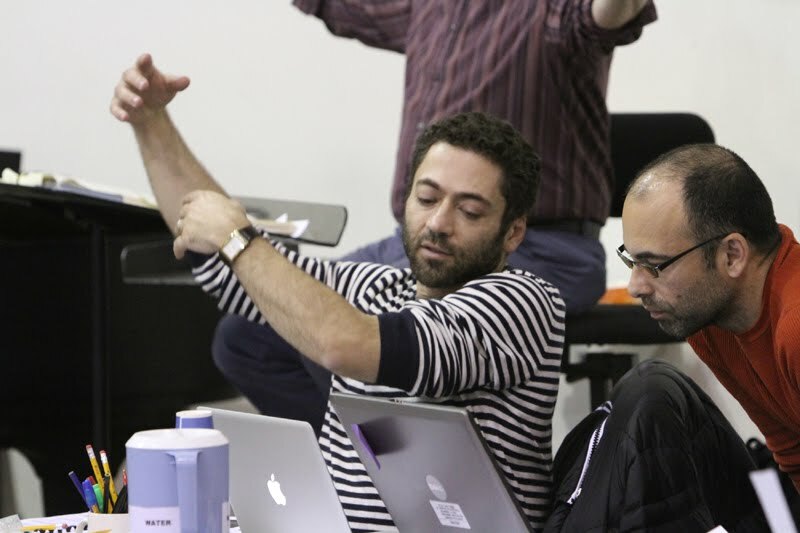 Time now to check in with our wonderful Orphée et Eurydice director, Jose Maria Condemi (left), who has also been involved in the design of this new production every step of the way. 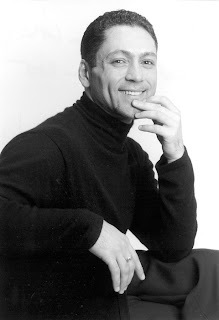 Jose Maria has been associated with Seattle Opera for about ten years. When he and I spoke last week, we remembered ancient history, talked about some of the design choices you’ll see in our production, and about the importance of willpower, both to avoid looking at Eurydice and to resist the temptation to scarf Oreo cookies. Jose Maria, first tell us about your history with this opera. I staged Orfeo ed Euridice, the Italian version, four years ago at a small opera company in Palo Alto. We had a very small budget, so we really had to strive for simplicity because there wasn’t much by way of resources. But that’s what Gluck wanted to do—his concept was ‘noble simplicity,’ and so the budgetary constraints became something powerful for the piece. When this opportunity came up, to do the French version for Seattle, with a little more money, I wanted to keep it simple. What other operas share this aesthetic of ‘noble simplicity’? Dido and Aeneas, let’s see, Carlisle Floyd’s Susannah. In those the minimal approach helps concentrate the juices. Is it possible for a production to interfere with the opera by getting too busy? Everything depends on whether the story is well-told. It can be told many ways. Bob Wilson did a very static Orphée, and it can also work with Baroque eccentricity. The older I get the more I realize that the real question is, does the approach strengthen the story-telling, or does it distract from it? For instance, now we’re doing the French version of Gluck’s Orphée, and in the score, after the last vocal cutoff, there’s 20 pages of dancing. After the story is over. For me, cutting that was a no-brainer. The dances earlier in the opera, we use for story-telling. But once the story is over, there’s no reason for these dances to go on and on. We want to concentrate it. It’s like when you make a really good marinara sauce, you slow-cook it for a long time, and concentrate the juices over many hours. Let’s talk about your history with Seattle Opera. Whoa, that was a long time ago! --and then after that I came to do the full-year residency with Mourning Becomes Electra, Carmen, and Ariadne, and Fanciulla, the first year in the new hall. And you directed Così fan tutte for the Young Artists Program in there. Yes. I loved that year! 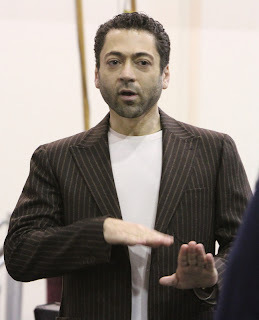 To get to work with so many directors, and I loved doing the Così for the Young Artists. What were some of the things you learned from the directors you assisted? One of those shows, I worked with a fantastic theater director who didn’t have that much experience directing opera. So that was about watching somebody try to find a way of translating that work—even the language is different, you talk to an opera singer differently than you do to an actor. You use different words. With Mourning Becomes Electra, well, Bart Sher was great, and Lauren Flanigan is a dramatic powerhouse, so the discussions between them were juicy. It was great to assist Bernard Uzan, who has a lot of experience, knows exactly what he wants, and is very practical and to-the-point. And with Chris Alexander on Ariadne, it was fascinating to see him weave his way through. I learned a lot by watching people do what I do now, in their own different styles. Then, in 2007, you made your debut as director with La bohème. Which would you rather direct: an opera like Orphée, which is abstract and dreamlike, or an opera like La bohème, which is almost cinematic in its realistic specificity? They are different challenges. With Orphée, which is almost Baroque, the challenge is to avoid letting people sing beautifully without telling a story. 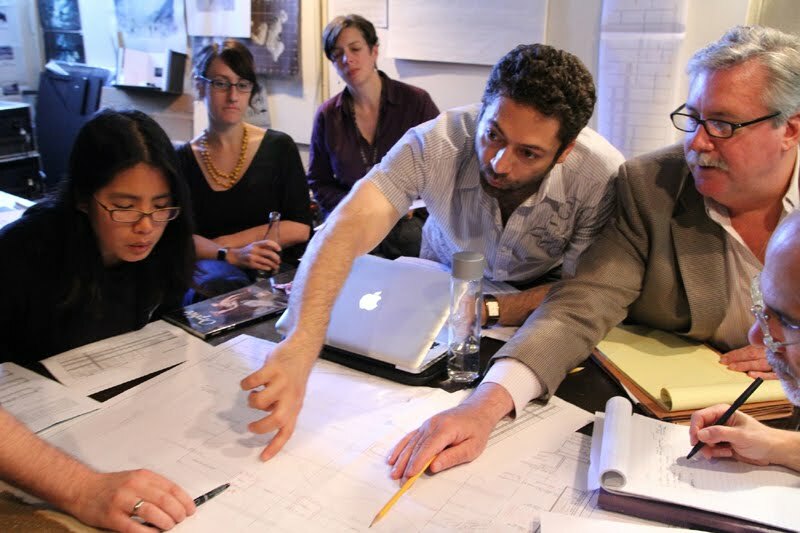 You have to really dig into the material and sometimes even add layers that are not there. Because otherwise, when you present these operas to a twenty-first-century audience, they can feel a little dated: “I already got the point, why are you nailing it over and over to me?” That’s the challenge, you have to be respectful, but you have to take what’s in the music, and use it to tell a story. It’s about finding 25 different shades of gray. Whereas with a piece like Bohème, most of the fun for me is to challenge the performers to think about what they take for granted. With an opera like that, people get too used to it, and then they don’t think about it—it loses freshness. What you want is for the staging to become a choice, instead of something they repeat just because it’s what you’re supposed to do. Are there any operas that you absolutely refuse to direct? I hate Werther. Don’t ask me why. I just want to give him a gun and tell him to go and use it. The mud, I wanted to find something universal, for the first scene, about how people grieve. I don’t want to set this production in any specific time or place, but a lot of communities throughout the ages, and throughout the world, have used mud, applied to the body, as a way of cleansing grief. You give yourself grief to take away grief, you use mud to clean your body. As for the trap door, that’s part of our story-telling: I mean, he does go down into the underworld! I think it helps organize the story. On the journey back, when Orphée is leading Eurydice back to the upper world, they’re coming up through the trap. I’m excited about the design, I think it’s simple but effective for the story and should still leave a lot of room for interpretation—so people can bring what they want to bring. If they want to see the pastoral, which is in the piece, they can. If they want humor, well, we’re playing the human qualities of the gods. Of Amour, the god/goddess of love. Amour, but also Orphée. He’s a demigod, but here we play him just as a guy. We were just talking about The Queen, the movie starring Helen Mirren, and I think the power of that movie is that it presents Queen Elizabeth as a person. In most poignant moment in that movie she’s driving and her jeep breaks down, and she has to call for help. Orpheus may be divine, but he’s dealing with a very human problem: grief, what do you do when the person you love dies? That’s the biggest challenge for Orphée. He gets through the Furies with ease. What ought to be the hardest part of his quest, to convince the Furies to let him go down to Hades, he does like that [snaps fingers]. But there’s this little fine print the gods gave him, this condition: You can talk to her, but you cannot look at her in the eye and you cannot tell her why. You can speak with her—in fact they have a long conversation—but you cannot say “the reason why I can’t look at you is because you will die.” It’s about restraint. Can you control yourself, can you delay gratification? Amour says very clearly, “If you do this, you WILL have a happy ending!” Yet Orphée is really struggling. It’s the same thing with me and the Oreo cookies that tempted me yesterday—some people are good at dieting, some are not! I know that sounds a little pedestrian, but that’s what it’s about. That’s what keeps us interested in that scene—will Orphée be strong enough not to look at Eurydice? What’s the biggest surprise about working on this production so far, to you? It’s not just this production, but people have these ideas about what Baroque opera is—that it’s either a frilly little thing, like an eighteenth-century painting with little Cupids in the corners, or that it’s extremely modern, something they saw on YouTube from a European production. There are these extremes. The one we’re doing here—I don’t really call it modern. Nobody doing anything that you could pinpoint to a specific time. It’s just general human behavior. Will it remind Seattle Opera audiences of your La bohème or Il trovatore? One last question: what is the role of still photography in your work as a stage director? I love photography, and I love photography-as-storytelling...when an image tells a complete story. But you’re aren’t a photographer, yourself? No. I collect photos. Sometimes one image becomes the gesture for an entire production. The trick is, can I to tell my performers why? It’s almost like a gut feeling...that what I’m seeing speaks to what I feel about a piece. I was watching today as Yannis Adoniou, our choreographer, worked with the dancers. They have these hoods, in the Furies scene, but when they pull them back you see the contour of their faces. And it’s exactly the image of the Pompeii casts, which was one of our dramaturgical source-photos for this production. You know, the corpses at Pompeii. They’re obviously dead, but they were caught in a very life-like position. That always felt to me like the Furies, but I didn’t know exactly how it was going to play in the production. Between how the costumes turned out, and what Yannis is having them do, it has worked out exactly.